Looking for information about family violence for yourself or someone else? The Ovens Murray Integrated Family Violence Committee will be running a series of free community information sessions in Wangaratta in 2018. The sessions are free, informal and community oriented. 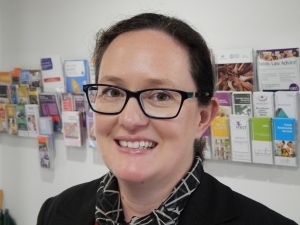 The first session will feature Hume Riverina Community Legal Service family lawyer Jodie Wells. It will be held at Gateway Wangaratta on Wednesday 28 March 2018, from 8am-9am. Since March 2017, Ms Wells has attended the Centre Against Violence under a health-justice partnership arrangement in Wangaratta and Wodonga to give free legal assistance to women impacted by family violence. “These clients are particularly vulnerable and are not entitled to legal aid, and they do not have the financial means to get legal assistance from private lawyers,” Ms Wells said. “These top five issues make up about 40 per cent of my advice, and many people have multiple legal issues,” she said. Ms Wells said the information session is aimed at support workers and health professionals, as well as victims and their family and friends. “This session will help people understand how this legal process works and how early intervention is important for getting a positive result,” she said.